Distribution Network Service Providers, often simply referred to as ‘distributors’, are responsible for maintaining the electricity network, including the poles, wires, stations and substations that deliver the electricity to your home. There are three distributors in NSW, each operating across distinct networks; they are Ausgrid, Essential Energy, and Endeavour Energy. This article walks you through what you need to know about the three NSW distributors, including what they do, and why it’s important to know who your distributor is. Electricity distributors are responsible for building and maintaining the energy infrastructure that delivers low-voltage electricity to premises across New South Wales. To understand the role of distributors, a rudimentary knowledge of the energy industry is first required. In a nutshell, most electricity is created by large, centralised generators, including coal stations, wind turbines and gas stations. The power produced is converted to ‘high-voltage’ electricity and transported long distances via ‘transmission networks’. The electricity is then converted to low-voltage electricity using a transformer substation. Once the electricity is a low enough voltage, it can then be delivered to homes and business across the network using poles and power lines. It is these lines, poles and stations that the electricity distributors build and maintain. Your electricity distributor is who you should contact to report a power outage or damage to energy infrastructure (e.g. fallen powerlines). Distribution networks are also responsible for designing electricity tariffs, however the implementation of these tariffs and the exact rates you’re charged are left to electricity retailers. Further, your retailer is responsible for issuing and managing your electricity bills – not your distributor. Finally, New South Wales is slightly different to other states in that they are not generally responsible for connecting your home to the grid. Rather in many cases, customers will need to engage their own ‘Accredited Service Provider’ (ASP) to undertake ‘contestable services’. 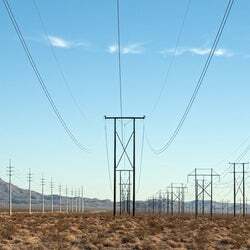 Contestable services include underground and overhead connection services, service equipment supply, transformer services, switchgear services, augmentations and design work. There are three electricity distributors in New South Wales: Ausgrid, Endeavour Energy, and Essential Energy. The three distributors are very similar from a network customer’s point of view, though rates and tariffs may vary slightly. The Ausgrid Network supplies 1.7 million customers, covering the wider Sydney area, north to Newcastle and inland around Muswellbrook, Barry and Merriwa. You can confirm whether you are on the Ausgrid network using its postcode network check. Ausgrid was government-owned until December 2016 when it became majority-owned by private investor groups. Ausgrid says that under its new ownership arrangement, it has maintained a focus on safety and reliability, while also preparing for a feature of de-centralised renewable energy generation. Customers can use the Ausgrid website to report outages, damage to power poles and wires, graffiti and street light faults. Customers can also contact Ausgrid to trim trees that are growing too close to power lines. To report dangerous hazards, you should call Ausgrid using the number below. The Endeavour Energy network neighbours the Ausgrid network on its south and west sides. It supplies power to 2.4 million people in households and businesses across Sydney’s greater west, the Blue Mountains, Southern Highlands, Illawarra, Wollongong and South Coast. The endeavour Energy network consists of 416,000 power poles and street light columns, 186 major substations and 32,000 distribution substations connected by nearly 50,000 kilometres of cables – that’s the equivalent distance of Sydney to London and back. The company is 50.4% owned by Australian-led consortium investors and 49.6% owned by the NSW government. If you live on the Endeavour Energy network, then it is your port of call to report power outages, faulty streetlights, fallen power lines, and damage to network assets. Endeavour has two phone numbers to contact them on, depending on the query. The Essential Energy network spans 95 per cent of rural New South Wales, as well as small parts of south-west Queensland. 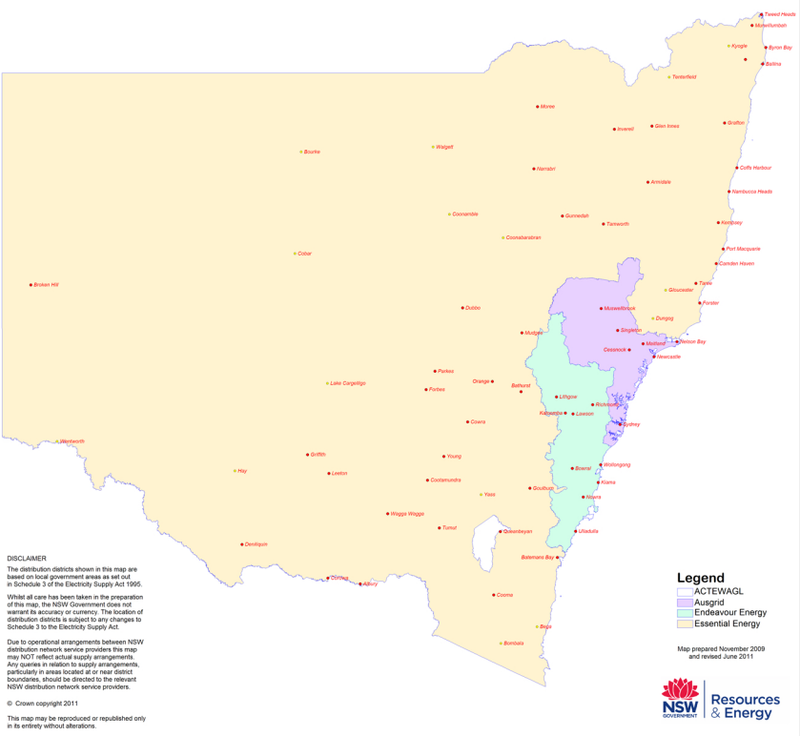 Some of the major urban centres covered by the Essential network include Byron Bay, Coffs Harbour, Port Macquarie, Tamworth, Dubbo, Bathurst and Wagga Wagga. Essential Energy says it’s more than just a ‘poles and wires’ company; it has launched its ‘Essentials Communities Program’ which provides funding opportunities to communities across the Essential network area. Essential Energy supports local halls in regional communities across NSW and provides sponsorships to community groups that make a difference in their local community. Once again, if you are on the Essential Energy network, then this is who you should contact to report outages, faulty lights, trees near powerlines, plus damage to network assets. 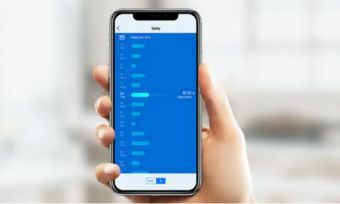 Essential Energy also has an outage SMS notification system, as well as an online ‘StormTracker’ to keep its customers informed about network conditions. What does a retailer do? As we discussed, distributors are responsible for delivering electricity to your home or business. They are not, however, responsible for issuing your power bill – that is the role of electricity retailers. Unlike distributors, you will usually have a choice over your electricity retailer, so if you’re unhappy with your current power company, then you can switch to a better one. To compare electricity companies, check out our price comparison tool via the link below.